Hobo Mama: Adjusting expectations about sleep: Subscribe to my newsletter! Adjusting expectations about sleep: Subscribe to my newsletter! The hardest and best thing I ever did when it comes to little ones and sleep? Adjust my expectations. It's when I'm most stuck in my ideas that I should have a set number of uninterrupted hours of sleep in a particular environment at a particular time that I lose the most sleep! And the sleep that I do get isn't as refreshing or appreciated. 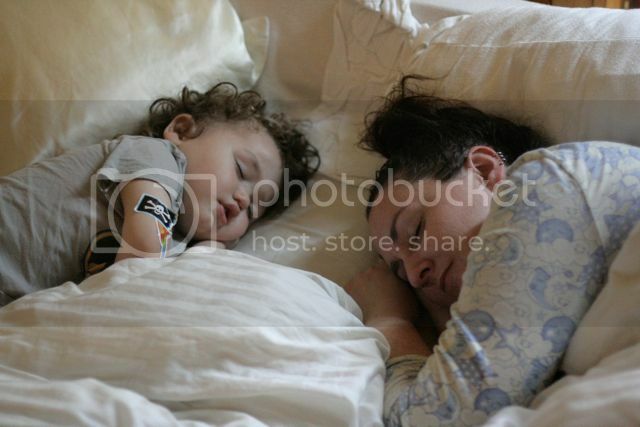 When I can let go of my need for "perfect" sleep, I can enjoy and optimize the sleep opportunities I have as an attachment mother of young children. Here are a few tips as you transition to a new way of thinking about sleep. Want to read more? Of course, you do! 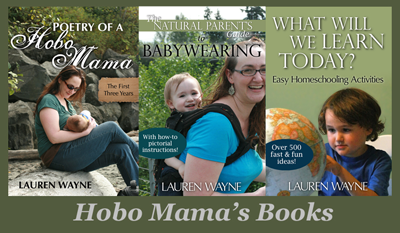 Every month the joint newsletter from Hobo Mama, Code Name: Mama, and Natural Parents Network wings its way to inboxes all around the world, bringing compelling content like the article I wrote for the June newsletter on Safe Sleep. So subscribe to our monthly e-newsletter: original articles, linked resources around the month's theme, newsletter-exclusive giveaways and deals, fun polls, and more — all delivered right to your inbox! Subscribe now to get the June 1 issue with the article above on sleep expectations!